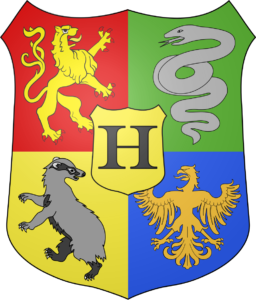 There are many things I love about the Harry Potter series. How it describes Christmas and the winter holidays in general is one of them. I’m planning to do yet another reread of these books in the near future, so all of the Christmases Harry celebrated with his friends have been popping into my mind again. 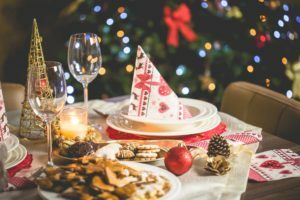 Today I wanted to share a few quotes from this series that illustrate some of the most important lessons they’ve shared about food, presents, and celebrations at this time of the year. The food descriptions in these books were mouth-wateringly delicious in general, but they somehow always outdid themselves over the holidays.I wanted to eat chipolatas even before I had any clue what they were because of how delicious everything else sounded. There are plenty of Christmas crackers for sale here in Canada, but a small, playful part of me doesn’t want to buy any of them unless they’re magical and clearly meant for wizards. Ron Weasley: “What did you expect, turnips? One of the things I loved the most about this exchange between Harry and Ron was how it showed the subtle ways their childhoods had influenced their expectations of the holidays. Ron Weasley’s family was poor but loving. While his parents could only afford simple, homemade gifts most of the time, they were always distributed evenly. Harry’s family could have afforded to buy him all sorts of things, but they chose to use what should have been a joyful day to inflict even more abuse on him by giving basically all of the love, attention, presents, and desirable food to his cousin every year. I couldn’t agree with this more. Socks are a deeply under-appreciated gift. There’s nothing like starting the winter off with some brand-new socks that are warm, comfortable, and maybe even cheerfully colourful. One size fits almost everyone, and they can be personalized in all kinds of cheerful ways. I’ve seen socks that have animals, superheroes, rainbows, flags, baseballs, musical instruments, sassy sayings, TTC lines, and all kinds of other stuff printed on them. Even though I don’t celebrate Christmas, socks would be close to the top of my list if I were expecting any gifts at this time of the year. Who deserves presents at Christmas? To give readers who aren’t familiar with this universe more context for this question, house-elves are owned by wizards in the Potterverse. The only way for them to be freed is if the wizard who owns them gives them an article of clothing. Normally, house-elves don’t receive Christmas presents, but Harry didn’t know that when he first met one of them. His joy at being fully included in the Weasley family’s celebrations made him assume that everyone should receive presents at Christmas.